Kohonen’s self-organizing feature map (SOFM) is a two-layer feed-forward competitive learning network, and has been used as a competitive learning clustering algorithm in brain MRI image segmentation. However, most brain MRI images always present overlapping gray-scale intensities for different tissues. In this paper, fuzzy methods are integrated with Kohonen’s competitive algorithm to overcome this problem (we will name the algorithm F_KCL). 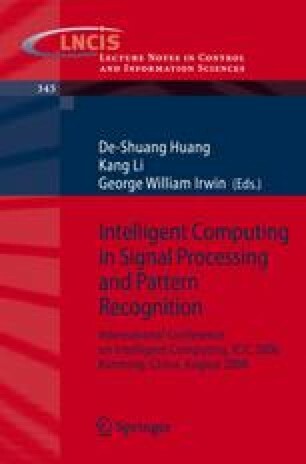 The F_KCL algorithm fuses the competitive learning with fuzzy c-means (FCM) cluster characteristic and can improve the segment result effectively. Moreover, in order to enhancing the robustness to noise and outliers, a kernel induced method is exploited in our study to measure the distance between the input vector and the weights (KF_KCL). The efficacy of our approach is validated by extensive experiments using both simulated and real MRI images. This work is supported by science foundation for young teachers of Northeast Normal University, No. 20061002, China.